The foremost principle of foreign trade, viz., ‘the law of comparative costs’, signifies that what a country exports and imports is determined not by its character in isolation but only in relation to those of its trading partner. The Need for International Trade: There is always a need for because the countries have different capabilities and they specialize in producing different things. To compensate for what they don’t produce, then have to involve trade with other countries. Forex: not all the countries have oil resources, the rest of the countries import oil from the oil producers. Most of the oil producers on the other hand import finished goods because they don’t produce enough. So in the modern world, no country is completely self-sufficient. Thus International Trade is very important for all the countries in the world. The importance of International Trade: One fundamental principle international trade is that one should buy and services from a country which has the lowest price and sell his goods and services to a country which has the highest price. This is good for buyers and sellers and also the developed countries have the opportunities to accelerate the pace of their economic development. No country in the world can be economically independent without a decline in its economic growth. Even the richest countries buy raw material for their industries from the poorest countries. Furthermore, the standard of living of people all over the world would have no chance to improve. Because of internal trade, people with money can acquire goods and services which are not available in their own countries. Hence satisfaction of consumers can be maximized. Global trading provides countries and consumers the chance to be exposed to those services and goods that are not available in their own country. Clothes, food, stocks, wines, spare parts etc. and many more products have an international market. International trading lets the developed countries use their resources effectively like technology, capital, and labor. As many of the countries are gifted with natural resources and different assets (labor, technology, land, and capital) they can produce many products more efficiently. Sell at cheaper prices than other countries. A country can obtain an item from another country if it can’t effectively produce it within the national boundaries. This is the specialty of international trade. 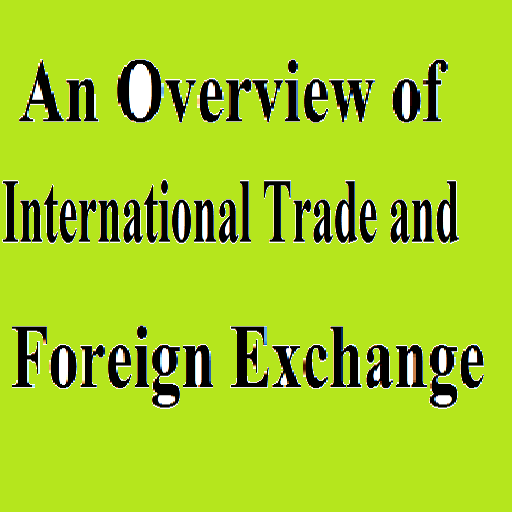 Definition of Foreign Exchange: As per the Foreign Exchange Regulation Act. 1947, Section 2(d) “Foreign Exchange” means foreign currency and includes any instrument drawn, accepted, made of issued under clause 13 of Article 16 of the Bangladesh Bank order, 1972, all deposits, credits and balances payable in any foreign currency and any draft, traveler’s cheque. Letter of credit and bill of exchange expressed and drawn in Bangladesh currency but payable in any foreign currency. Ideally ,four category of trade payment methods are in use to facilitate and receive payments in the country; cash in advance, open account, documentary collection and documentary credit. In some cases, a mix-up of more than one is followed. However, whatever may be the method of payment the very first step is the contract between exporter and importer. Cash in Advance: With cash-in-advance payment terms, the exporter can avoid credit risk because payment is received before the ownership of the goods is transferred. Wire transfers and credit cards are the most commonly used cash-in-advance options available to exporters. However, requiring payment in advance is the least attractive option for the buyer, because it creates cash-flow problems. Foreign buyers are also concerned that the goods may not be sent if payment is made in advance. Thus, exporters who insist on this payment method as their sole manner of doing business may lose to competitors who offer more attractive payment terms. Open Account: An open account transaction is a sale where the goods are shipped and delivered before payment is due, which is usually in 30 to 90 days. Obviously, this option is the most advantageous option to the importer in terms of cash flow and cost, but it is consequently the highest risk option for an exporter. Because of intense competition in export markets, foreign buyers often press exporters for open account terms since the extension of credit by the seller to the buyer is more common abroad. Therefore, exporters who are reluctant to extend credit may lose a sale to their competitors. However, the exporter can offer competitive open account terms while substantially mitigating the risk of non-payment by using of one or more of the appropriate trade finance techniques, such as export credit insurance. Documentary Collection: A documentary collection (D/C) is a transaction whereby the exporter entrusts the collection of a payment to the remitting bank (exporter’s bank), which sends documents to a collecting bank (importer’s bank), along with instructions for payment. Funds are received from the importer and remitted to the exporter through the banks involved in the collection in exchange for those documents. D/Cs involve using a draft that requires the importer to pay the face amount either at sight (document against payment) or on a specified date (document against acceptance). The draft gives instructions that specify the documents required for the transfer of title to the goods. Although banks do act as facilitators for their clients, D/Cs offer no verification process and limited recourse in the event of non-payment. Drafts are generally less expensive than LCs. Documentary Credit: Letters of credit (LCs) are one of the most secure instruments available to international traders. An LC is a commitment by a bank on behalf of the buyer that payment will be made to the exporter, provided that the terms and conditions stated in the LC have been met, as verified through the presentation of all required documents. The buyer pays his or her bank to render this service. An LC is useful when reliable credit information about a foreign buyer is difficult to obtain, but the exporter is satisfied with the creditworthiness of the buyer’s foreign bank. An LC also protects the buyer because no payment obligation arises until the goods have been shipped or delivered as promised. Exporters and importers need financing facilities to accomplish their cross-border purchase and sale. At different stages of production and payment, traders obtain financing facilities from banks. Financing pattern also vary in different methods of payments. Financing to the exporters can be grouped under pre-shipment and post-shipment financing; and financing to the importers can be categorized into pre-import and post-import financing. The trade financing products used in Bangladesh are discussed below. Pre-Shipment Credit to the Exporter: Pre-shipment credit is obtained to meet expenses on purchasing raw materials, processing, transportation, insurance etc. These cash credit facilities are commonly provided against hypothecation and against the pledge. Packing Credit, the most popular form of pre-shipment credit, is extended against Lien of Master LC or firm contract signed between buyer and seller. Back-to-Back Letter of credit is a financing arrangement between bank and exporter common in the country to import raw materials for preparing exportable. Under this arrangement, the bank finances export by opening a letter of credit on behalf of the exporter who has received a letter of credit from the overseas buyer. The Bank’s credit in the name of back-to-back LC is realized subsequently from export proceeds. The technique is very common in Bangladesh. Exporter obtains Export Development Fund (EDF) facilities to meet foreign currency requirements mainly to import raw materials under the back-to-back arrangement. EDF facility is now faster and bigger in terms of processing and fund availability as compared to any recent past. Post-Shipment Credit to the Exporter: Post-shipment credit refers to the credit facilities extended to the exporters by the banks after shipment of the goods against export documents. Banks in our country extend post-shipment credit to the exports through Negotiation of documents under LC, Purchase of DP & DA bills and Advance against Export Bills surrendered for collection. Under collection, documents submitted under DA or DP is also purchased by banks (remitting bank). Banks generally accept export bills for the collection of proceeds even though documents drawn against an LC containing some discrepancies. Financing to the Importer: For importation, banks have been offering credit facilities to the importers both at the pre-import and post-import stage. LC is a financing technique for importers under which banks offer undertaking to make payment on behalf of importers. In Bangladesh, the popular post-shipment import financing techniques are termed as PAD, LIM, and LTR. Under PAD or Payment against Documents, an Issuing Bank makes payment against documents on behalf of the importer. Bank extends credit facility to the importer for retirement and clearance of the consignment known as Loan against Imported Merchandise (LIM). Advances against a Trust Receipt or LTR obtained from the Customer are allowed to only first class tested parties. Usance Pay at Sight (UPAS LC): Offering finance against documentary credit has been popular in the form of red clause and back-to-back LC. Another relatively recent innovative financing technique to offer post-shipment credit to the exporter or financing to the importer is popularly known as UPAS LC. This is a new feature in the LC process in response to the demands for immediate payment by the exporter and applicant’s request for deffered payment. Banks render UPAS credit facilities to its valued customer in the following two ways: One, UPAS credit service though own offshore banking Unit (OBU) ; two, UPAS credit service through overseas Correspondent Bank. International Bank Guarantees and Standby LC: The bank guarantees operate in much the same way as documentary credits. Practically, demand guarantees, standby letters of credit and commercial letters of credits are all treated as autonomous contracts whose operation should not be interfered on grounds immaterial to the guarantee or credit. However, these instruments have a distinctive feature in terms of operational efficiency, use, preference and regulatory environment. There are growing instances of offering international demand guarantee services by banks, and a few instances of standby LC in the country. Trade Payment and Financing as Offshore Practices: Under section 14, of the Bangladesh Export Processing Zones Authority (BEPZA) Act, 1980, Bangladesh Bank provides an offshore license to the banks in Bangladesh. Offshore banking units are allowed to offer services in foreign currencies. The banking unit opened up banking facilities for the Type- A, industry situated at EPZ area and extending discounting facilities to the ADs in order to meet up their obligations abroad at the relatively lower interest rate. However, the enterprise in the country may also enjoy foreign currency loan from the Offshore Banking Unit at lower interest rate subject to the approval of the Board of Investment. In facilitating cross-country and cross currency transactions, banks are required to follow a set of domestic regulations and some international rules/guidelines. In this connection, our exchange control regulation i.e., Foreign Exchange Regulations Act. 1947 (FERA 1947) is the key domestic regulation in regulating international banking transactions. Foreign Exchange regulation Act. 1947: In Bangladesh, Foreign Exchange Regulations Act, 1947 (FERA, 1947) is the most important domestic regulation in the area of international banking. FERA, 1947 has empowered Bangladesh Bank to regulate all kinds of cross-country and cross-currency dealing in Bangladesh, Empowered by the Act, Bangladesh Bank issues ‘Authorized Dealer’ licenses to the Bank branches for conducting trade payments, financing and other international banking operations. Following the provisions of the Act, Bangladesh Bank issues circulars/guidelines from time to time to regulate trade payment, financing, remittance services, maintenance of foreign currency accounts etc. activities to be followed by the banks. These guidelines should complement the ICC guidelines for smooth operations of international trade payment and financing activities. BB Guidelines on Foreign Exchange (GFET, 2018): For ensuring smooth operations as well as efficient risk management, Bangladesh Bank has not only been drafting prudent regulations to govern, monitor, supervise and managing risks in foreign exchange transactions but also the regulatory framework is being updated quite frequently to accommodate the time-befitting changes. In that regard, Bangladesh Bank has got a compilation named as GFET containing all the FE circulars, which basically provides the fundamental backdrop for foreign exchange transactions. As well as, a framework is being circulated by Bangladesh Bank for managing foreign exchange risks. Import and Export polices: The existing Import Policy Order 2015-2018, has been formulated, keeping in mind the market economy ideology for making the easy availability of the commodities to consumers at fair prices through removing the barriers to the movement of goods internationally. It is the restriction of the Import Policy of the country because of which LC is the most commonly used method of trade payment in Bangladesh. The import policy has allowed opening of LC importing capital machinery even without IRC and other flexible measures to keep up with the momentum of rapid industrialization through ensuring required imports. Export Policy 2015-2018 primary aims at encouraging production of exportable commodities and promoting new exporters and helping the existing exporters. Customs Act 1969 and Pre-shipment Inspection Rules 2002: The Act has covered some issues connected with the bill of entry and pre-shipment inspection that are related to trade services by banks. Government of Bangladesh circulated a set of rules of pre-shipment inspection known as Pre-shipment Inspection Rules 2002 under the Customers Act 1969. These rules assigned specific responsibilities to the importers and the banks related to the pre-shipment inspection. As per the customs Act. 1969 all documents must contain 8 digit H. S. Code violation of which is a Punishable offence. Uniform Customs and Practice for Documentary Credits (UPC 600): UCP, 600 the current version of UCPDC, is the collection of rules governing the issuance and execution of letters of credit in the cross border exportation and importation in the global economy. UCP, the popular title of UCPDC, compiles the best documentary credit practices that came into effect from July 01, 2007 and is the sixth revision of the rules since they were first promulgated in 1933. The 39 articles of UCP 600 mainly cover the liabilities and responsibilities of different parties engaged in the process of LC which is meant for traders and bankers. Uniform Rules for Bank-to-Bank Reimbursements under Documentary Credits (URR 725): In most cases under LC, reimbursement by the issuing bank is made using the service of a third bank known as ‘Reimbursing Bank’. And the process of making reimbursement using the service of the Reimbursing Bank is known as Bank-to-Bank Reimbursement Arrangement. Uniform Rules for Collections (URC 522): Uniform Rules for Collection of ICC contains the set of rules to guide collection process through banks, which is known as Documentary Collection’. The ICC Uniform Rules for Collections are a practical set of Rules to aid bankers, buyers and sellers in the collections process. URC 522 underlines the need for the principal and/or the remitting bank to attach a separate document and the collection instruction to every collection subject to the rules that came into effect in 1995. It makes it very clear that banks will not examine documents, and addresses problems banks experience in respect of documents against acceptance (D/A) and documents against payment (D/P). The document clearly indicates that banks have no obligation to store and insure goods when instructed. Incoterms 2010: Came into effect from the 1st January 2011, the international Commercial Terms 2010 is the eighth revision containing 11 terms. The introduction to the new 2010 terms stresses the need to use the terms appropriate to the goods, to the chosen means of transport and to whether or not the parties intend to impose additional obligations on the seller of buyer. The new Rules have been separated into two classes; Rules for use in relation to any mode of modes of transport; and Rules for sea and inland waterway transport, where the point of delivery and the place to which the goods are carried to the buyer are both ports. DOCDEX Rules and ICC Arbitration: DOCDEX Rules are about a service known as ‘Documentary Instruments Dispute Expertise’ that are provided in connection with any dispute related to ICC regulations/guidelines and their applications that are made available by the ICC through its International Centre for expertise.